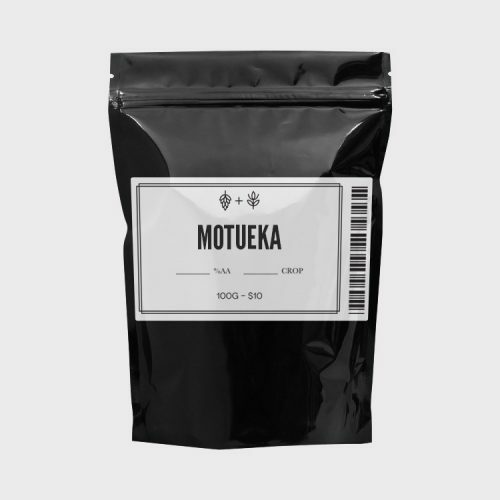 Formerly known as Belgian Saaz or B Saaz, Motueka is a premier New Zealand hop. Developed by HortResearch, this triploid was bred from??Saaz? ?and an unnamed New Zealand breeding strain and lends itself well to Lagers, Pilsners and Belgian Ales. It makes an excellent dual-use hop, carrying an exciting fruit aroma with refreshing notes of tropical fruit and citrus. It can be used at any point during the brewing process and works well in sweet, malty and fruity beers. Massachusetts brewery Brewmaster Jack use Motueka in a Maibock and Sierra Nevada brewery also debuted their Southern Hemisphere Harvest fresh hops ale in April 2014 using Motueka, along with? ?Southern Cross, as its finishing hops.